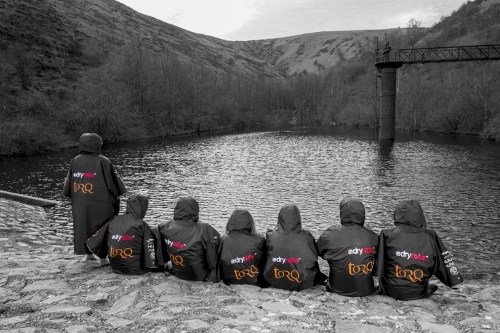 2014 was the inaugural year for TORQ’s very own and indeed the World’s first Performance Open Water Swimming Team. Naturally this is something that we are extremely proud of. We plan to follow the successes of last year’s team across the 2015 race season, but with a slightly different structure and with a few changes in the line up. 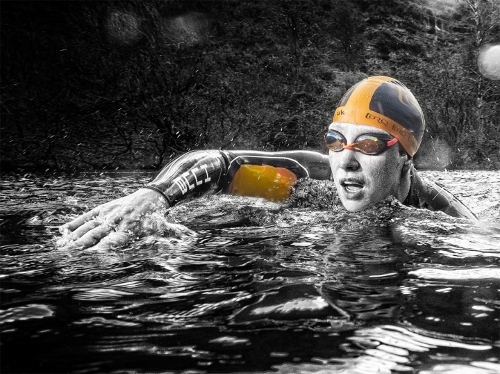 2014 was a very exciting year for us in swimming, as it was our first real foray into the wet and watery world of aquatics as a sport of it’s own accord and not attached to cycling and running afterwards! We worked very closely with our friends at H2Open Magazine in promoting the concept of a Performance Swimming Team and wish to thank the them enormously for assisting us in getting the word out that we were on the hunt for top level swimmers.  To this day, we are still working with H2Open, in that we write heavily researched articles for them on topics that they need answers for – a great relationship. The year started with a search for the team, where we received 85 entries for only 7 slots on the squad, so those applying had to be pretty rapid in the wet stuff! After initially assessing the applicants on paper, we whittled the applications down to 18 hopefuls. We then invited these swimmers to a “Trials Day” and used the amazing facilities of the Loughborough University World class pool. 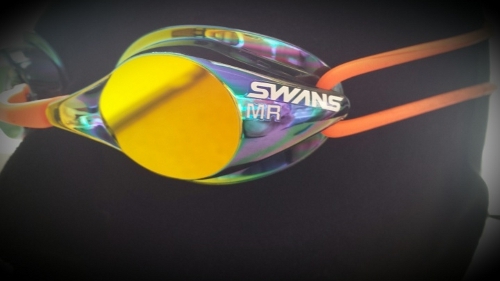 We started out with the full history of TORQ and then covered training theory, nutrition, fuelling & recovery and the group were introduced to a fantastic speaker from one of the team sponsors namely David from SWANS Goggles. 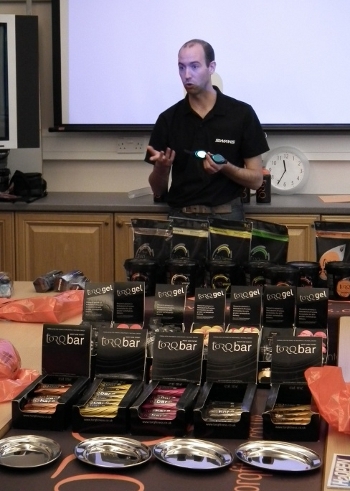 We also received an inspirational talk from extreme endurance swimmer Michael Ventre – and all this before lunch! After lunch, the hopefuls were taken to the pool where they warmed up in preparation for their practical test – as I said, the initial pick was from paper, now was a time to prove it! They were tasked to swim 1500m of a 50m pool broken down into 100m, 400m, 200, 400m, 100m, 200m, 100m with very slim turn around times of 10 secs. The guys went off like bullets and in some cases knocked out some 58sec per 100m splits – this was a good sign! At the end of the day the 18 hopefuls went their separate ways and awaited the verdict of of the trials, which were to be announced by the end of the following week. 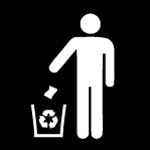 We took great care to observe several considerations and based our sellection process on many factors. 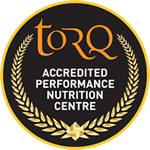 Eventually, the team of 7 were picked and the 2014 TORQ Performance Swimming Team was formed. With the strength of the swimmers and the incredible support of our amazing sponsors, namely HUUB, DRYROBE, SWANS, FINIS & AMPHIBIA, we had the makings of a fantastic first Season. 2015’s team line up has changed slightly, but retains some of the 2014 members. The guys staying on with us for this year are: Vicky Miller, Victoria Pritchard, Adam Warner & Guy Giles – we welcome them for a second Season with the team. As for the members that will not be on the team for this year, Caleb Hughes, Pippa Shuttleworth & Greg Shrosbree, we wish them all the very best of luck for the 2015 Season and hope to see them out at the races soon. The new members of the 2015 line up are: Sophie Evans, Georgia Amison and Tom Roberts. These guys are certainly ones to keep an eye out for this year and combined with the remaining members from the 2014 squad, we feel we have the makings of a very strong team indeed. We’ll obviously let you know more about the team as we progress through the Season and of course wish them the very best of luck! They already have some key races lined up for this year – infact, some of them have already raced this year and have achieved great success – please keep an eye on your inboxes and on social media for the reports, as they will be appearing soon! 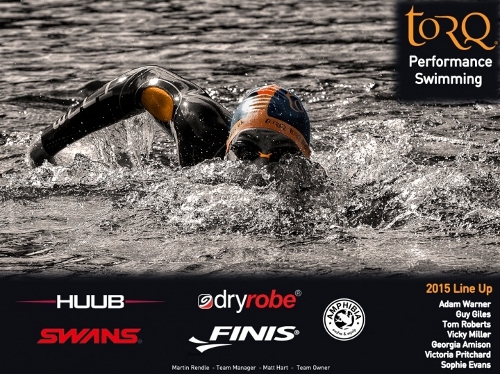 In the meantime we’d like to thank our sponsors, HUUB, Dryrobe, Swans, Finis & Amphibia for their ongoing support of the team, as without them we could not be as successful as we are.